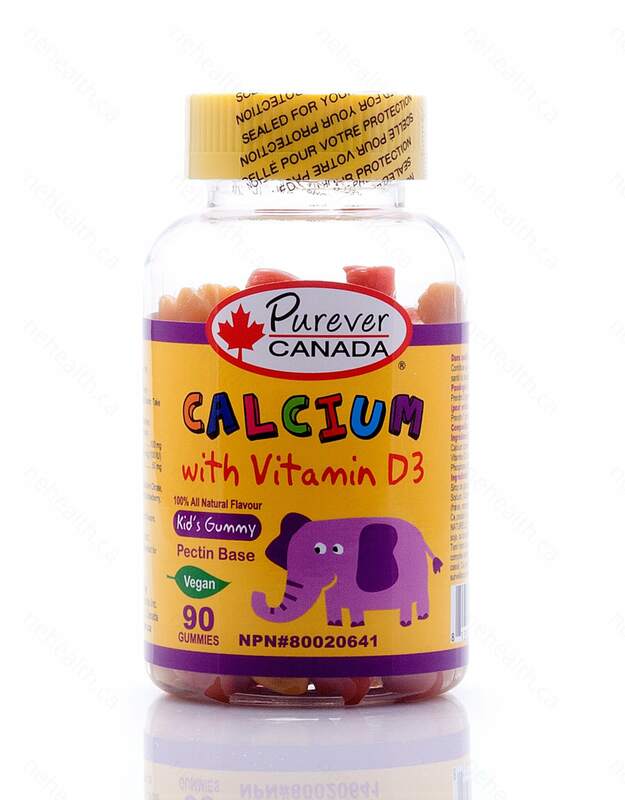 Purever Canada’s Kid’s Gummy Calcium and Vitamin D is a super easy way to get your children to supplement with important bone building nutrients. Calcium, vitamin D and phosphorus are essential micronutrients needed for the development of healthy bone and teeth. This product is formulated into a delicious fruit gummy that's made from 100% natural flavour in a pectin base. 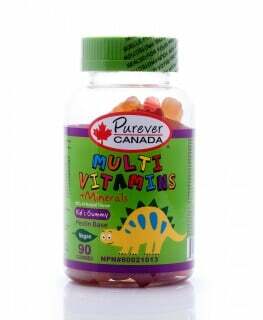 What are the key benefits of Purever Canada’s Kid’s Gummy Calcium and Vitamin D? 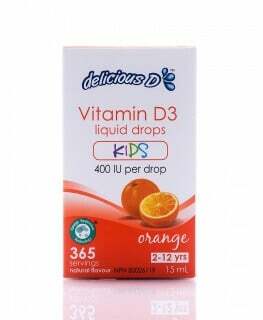 Why should children supplement with calcium and vitamin D? Calcium and Vitamin D are essential micronutrients needed for the development of healthy bone and teeth in children. During childhood and adolescence, the body uses the mineral calcium to build strong bones. However, children who are not getting enough calcium and vitamin D from their diets are at increased risk for rickets. Rickets is a bone-softening disease that causes floppy limbs, poor growth, delay development, muscle pain and weakness. Therefore, consuming calcium-rich food are very important for children. 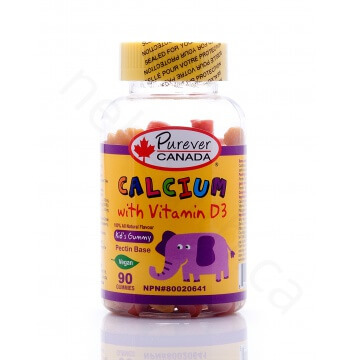 Purever Canada Kid’s Gummy Calcium with Vitamin D3 is formulated into a delicious natural fruit flavor gummy, great way to supplement your children with the essential calcium and vitamin D needed for optimum bone health. Non-medicinal ingredients: Glucose syrup, pectin, purified water, citric acid, sodium citrate, natural colors (black carrot, annatto) natural flavors (strawberry, orange), vegetable oil, camauba wax. 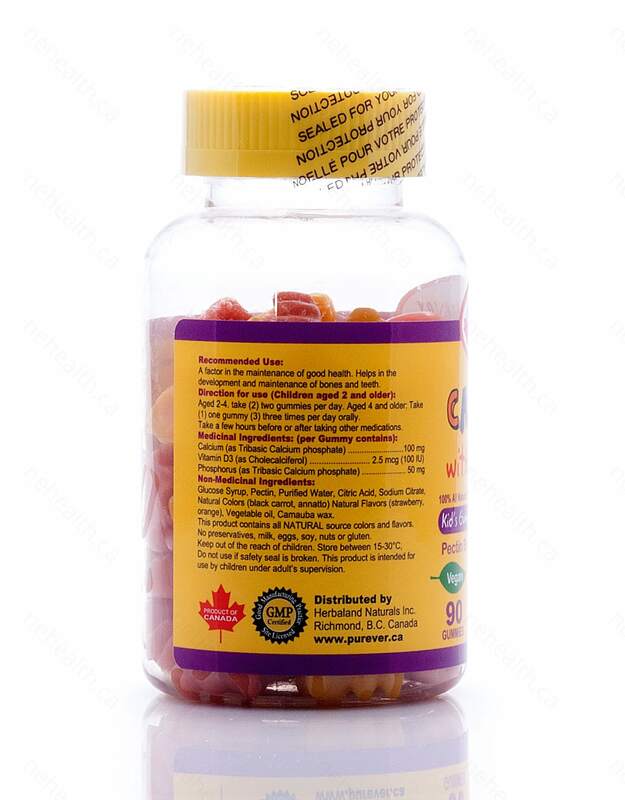 Age 2-4 years old: take 2 gummies per day; Aged 4 and older, take 1 gummies three times per day orally. Take a few hours before or after taking other medications.